You look so adorable in that hat! I wish I had a beach near me, lucky you! 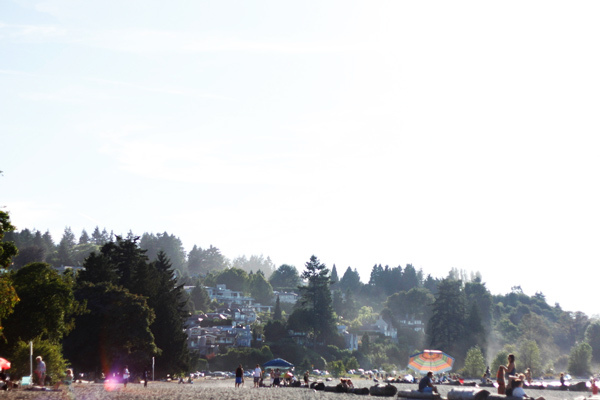 the beaches at Vancouver are one of my favorite places! you look adorable ! cute combination! Please go to the beach more often for me! I’d be there everyday if I was within walking distance. Your outfit is perfect for an early evening beach stroll too. 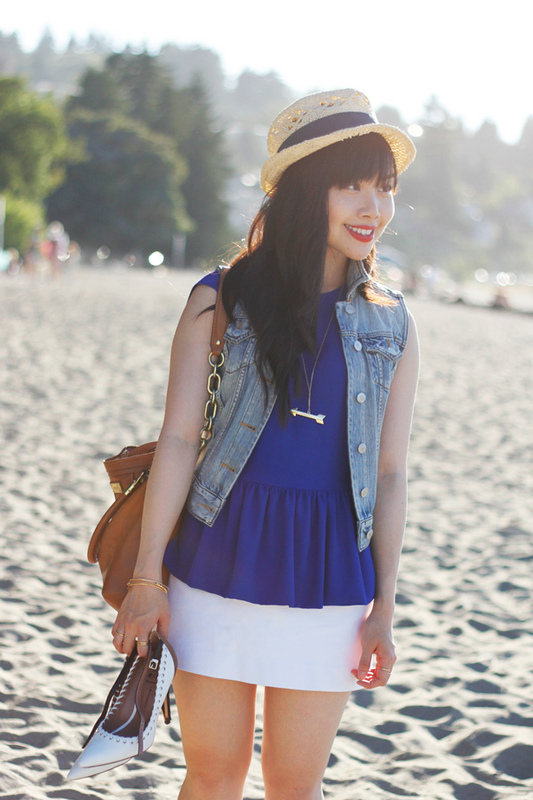 Love the way you dressed down the skirt and peplum with a denim vest. I wish I was at the beach right now! And this is such a cute outfit on you!